As you might of guessed their is lot of red in Scarlett Wizzard by Brothers Pyrotechnics. Each shot has a corkscrew effect as it heads skywards and breaks in to several colours with red in each burst. 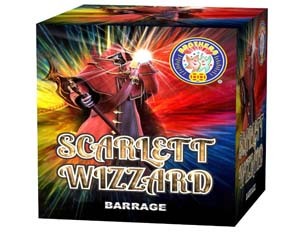 Scarlett Wizzard is a longer lasting firework and fires at a steady pace. 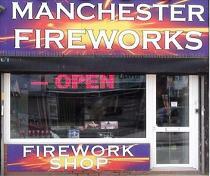 This firework has 25 shots in total and the duration is just under a minute. Titanium tail to multi-colour bouquet.